Do you need a last minute Valentine Treat to take to your child’s classroom party? Baked, and not fried, these Red Velvet Donuts are perfect because they’re so easy and delish! The kids will love the sprinkles and bright colors! At my girls’ school they can only have one party every year so Valentine Treats are a big deal. I was in charge of planning Moreaya’s Kindergarten Party this year and couldn’t have been happier about it. I just love all the bright reds and pinks and the fact that I get to shower her and her little friends with fun love crafts and Valentine treats! We’ll be playing lots of Valentine-themed games, like Tic Tac Toe with these adorable printable cards, and having Conversation Heart stacking contests, but the best part are the treats, right?! Of course all kids love cakes and cupcakes, but I wanted to come up with something a little more special for this classroom party treat. The best part is that these Red Velvet Donuts look like they take a lot of effort, but they don’t at all! They’re made with a Red Velvet Cake Mix and baked just like you would do cupcakes. 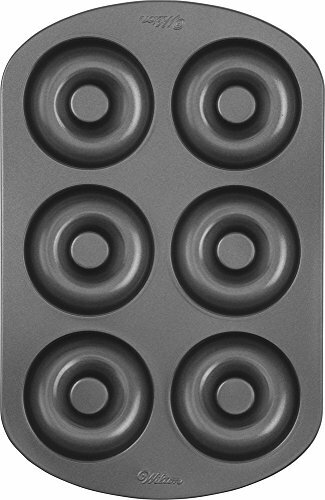 The only thing you need is a donut pan like this one! You can really make these last minute as they bake up nicely and are quick to come together with the candy melt and sprinkle topping. There are tons of ways to make these your own too – instead of candy melts you could do melting chocolate for a frosted chocolate topping, and tons of candy topping options in place of the sprinkles if you choose. They just take 12-15 minutes to bake and only need to cool a short time on a wire rack before you dip the tops in your warmed candy melts. They harden pretty fast too! While I made them myself and took them in for the party, you could always do a fun “Donut Decorating Station” with this Red Velvet Donuts. You could have a few different candy melts and sprinkles to choose from and let the kiddos make their own Valentine treats. 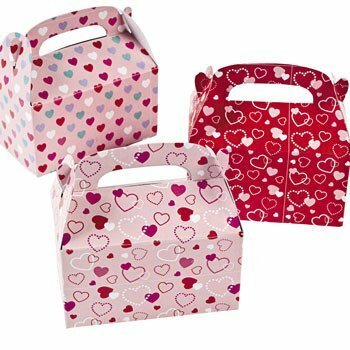 Or you could even box a baked donut up in adorable Valentine treat boxes and let your kiddos hand them out to their friends or even Valentines Teacher gifts… because everyone loves donuts! 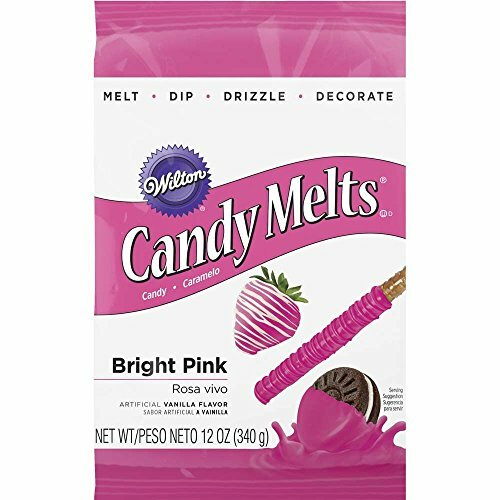 Melt pink and white candy melts separately in microwave. These look so delicious and would be great for Christmas as well! These are so cute. I love the little hearts.